Put water into one of the bottles until it is about ¾ full. Place the washer on top of this bottle. Then put the empty bottle over it so that the two tops meet. Carefully tape around the necks of the two bottles so that the washer stays in place and the joint is watertight. 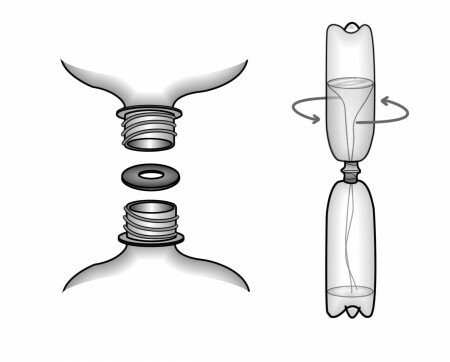 With the filled bottle on top, rapidly swirl the bottles in a circular motion a few times. Stand the bottles on a table. What shape does the water make? A vortex is a rapidly whirling spiral, a body of liquid or gas rotating around its own centre. We see vortices around us all the time: water going down the plug hole, tornadoes and hurricanes are all good examples. When the plug is pulled out of a bath the force of gravity pulls the water down the plug hole. But, at the same time, the air in the pipes below is pushing upwards, trying to escape. 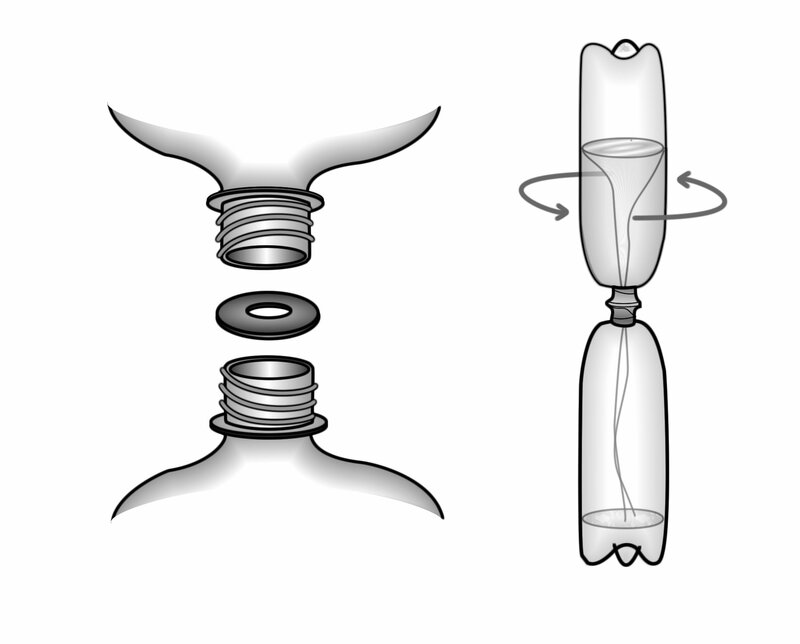 This ‘battle at the plug hole’ means that neither the air nor the water can flow easily until a spiraling motion is created. A vortex is the most efficient way for the water to travel down the plug hole because it means that the spiraling water can drain out of the plug hole whilst the air travels up the middle.